A well trained retriever can make a good shooting day into a day to be remembered. That special retrieve you have shot can make memorable moments, touched with pride and the admiration of fellow gunners. 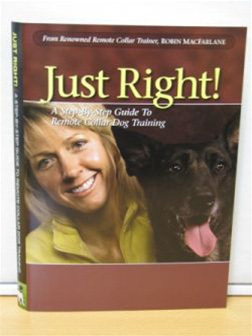 Adapting the training to the individual temperament of the dog shows how all the dog shows how all the dogs can be trained to their individual highest standards. In this programme we look at a selection of puppies and training through to nine months. Adapting the training to the temperement of the dog through the initial stages of walking on lead and off lead, the first steps of retrieving, quartering and many other stages ensuring a firm grounding, leading to training to the highest standards. Adapting the training to the individual temperament of the dog shows how all the dog shows how all the dogs can be trained to their individual highest standards. In this programme we continue the training from 10 months to adult. Comntinuing stage by stage training, developing walking on and off lead, quartering, whistle and hand commands, introduction to jumps shot, dummy retrieves seen and unseen, cold game, water and livestock. Covering all the training ready for a working life. concluding the training into the field with a days walk-up shooting and finally picking up. The Cocker Spaniel, Springers are Spaniels, but Cockers are all little people, so many different little characters. The Cocker Spaniel as a breed is so unpredictable, a genie, a will o the wisp, difficult to pin down to reality, but such a rewarding little person, just as you are feeling exasperated with some aspect of their work, they will do some remarkable thing that will leave you smiling and shaking your head in amazement! Just Right! A Step-By-Step Guide to training your dog using an electric remote training collar. 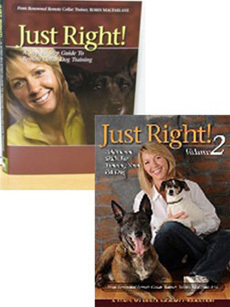 Disc 1 shows you how to introduce your dog to an electronic collar and properly teach the foundation skills. Disc 2 provides additional skills building off the foundation work taught in the first disc.